The World Electronic Sports Games’ Counter Strike: Global Offensive tournament produced a stunning outcome which defied all pre-event expectations. Before the action began, MIBR were clear front-runners with their five-man line-up having performed well during the opening weeks of 2019. Furthermore, with fellow Group C members in k23 and Isurus Gaming not attending the event, MIBR automatically qualified for the play-offs, their result against AGO (they did actually win) mattering little. In the last 16, the Brazilians quickly wiped the floor with Viva Algeria. However, MIBR would then fall short, suffering a shock 2-1 defeat to Windigo Gaming with losses on both the Dust 2 and Overpass maps. 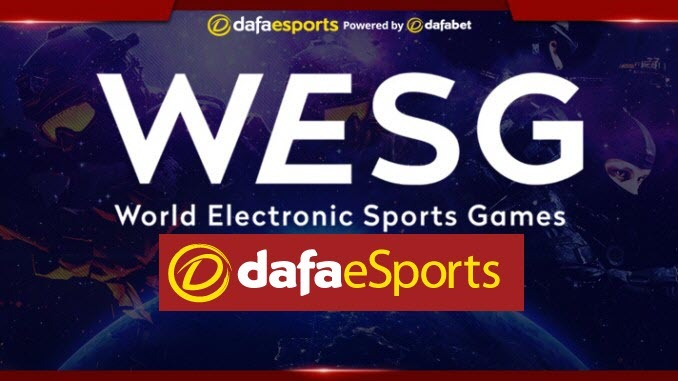 While WESG has been an event previously known for upsets, this was a stunning loss for a team that seemed all but destined to hoist the trophy. Windigo would take full advantage of their upset win, going on to capture the title despite facing more stiff competition in play-offs. They were another team that benefitted from a withdrawal, the runners-up from the recent Katowice Major, ENCE, not attending. That left Windigo to battle with Fnatic and Riders in Group E, one they were able to leave in first place. The Bulgarians truly stamped their name on the event when they took down MIBR in the last eight, but they were not even close to being done. They defeated G2 Esports 2-0 in the semi-finals before winning a tight final 2-1 against AGO Esports to claim the title after so many had doubted them over the past year. They did so from a map down, losing 16-14 on Inferno before levelling with a 16-13 victory on Mirage. It all came down to Dust II and after a tight couple of maps, this time Windigo were dominant as they posted a 16-7 win. Will unit survive and thrive? Windigo have long been a team seemingly stuck in the lower end of tier two or upper tier three of CS:GO, consistently getting to middle-tier events and making some noise, but lacking in star power to push them over the top. Given that Windigo took down teams such as MIBR and G2 in best-of-three series, the win carries some serious legitimacy and looks to be something they can really build upon. The team will be better for this experience but the key going forward could well be holding onto their players. There have been rumours about some players being bought out by other organisations looking to find the next CeRq. Starring on NRG as a Bulgarian AWPer, CeRq has helped credit the entire Bulgarian scene, and the question for Windigo becomes whether or not they will be able to stick together as a five-man unit. The effort of G2 Esports is also worth noting. Their third-placed finish was something of a surprise given the news that bodyy would be replaced by AmaNEk, formerly of Misfits and LDLC. With Ninjas In Pyjamas not attending, G2 coasted to a 2-0 record in the group and then essentially cruised against some fairly unknown teams before they were defeated by Windigo 2-0 in the semis. G2 finishing on a high by winning the third-place match against Fnatic, and this could be a confidence builder moving forward. A line-up with shox in-game leading will always have its up and downs given his history of just that, but there still remain talented players on this squad. AmaNEk’s addition will be watched closely, not only given this is the best squad he has been a part of, but also because the French scene always seems to be one bad result from another reshuffle.